Why Customers HATE Your Auto-Responder | Shoppers, Inc.
Greetings from Shoppers, Inc.! Hope you enjoy the article below from Scott Resnick about Why Customers HATE Your Auto-Responder and customer service as much as we did. Want to know a secret? Your customers hate your auto-responder. But that isn’t really surprising, is it? You hate them, too, when you’re the customer. As technology makes instant gratification increasingly easy, patience is decreasing accordingly. Your customers want answers now, and they don’t want to have to work too hard to get them. 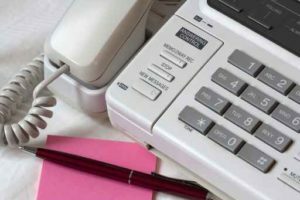 Keep these trends in phone systems in mind when you design your call center auto-responder, or you might find your company the subject of disgruntled social media memes. Make it easy to reach a human. Did you know there are entire web sites devoted to sharing the codes customers can use to bypass auto-responders and reach a real person? Some companies seem to set up as many hurdles as they can to separate customers from real, live employees. Sure, it might save in payroll, but it costs in customer churn. Don’t make your customers jump through hoops to reach one of your representatives; give them the option right up front. Don’t punish customers for making a mistake. Auto-responder menus can be long and frustrating. After listening to all of the options, customers may not remember the number of the one that was the best fit, or they might just press a wrong number, especially if they’re on a mobile device. The best solution is to automatically transfer them to a representative, but at least give them an easy way to get back to where they started. Make sure your humans are as smart as your auto-responder. There’s nothing wrong with asking customers to enter account numbers, phone numbers, etc., to retrieve their information, but don’t make them start over when they finally reach a real person. From the customer’s perspective, they’ve already entered that information, so there’s absolutely no excuse for making them do it again. Go easy on the marketing. Sure, you have a captive audience when customers are waiting to speak to an agent. But what you don’t want to do is make them wonder if you’re delaying just to try to sell them something. Be willing to interrupt a marketing message in midstream if a representative becomes available. Use data when constructing your menus. Customers don’t like having to listen to extensive menu options to find the one they need. Be smart about it; your first option should be the most common reason customers call. The second most common problem should be the second option, and so on. Just use common sense. Eliminate unnecessary steps. Don’t make customers confirm their selections more than necessary. Confirmation makes sense when you ask customers to enter an account number or phone number. It doesn’t make sense to ask something along the lines of, “Did you really mean to choose option one?” That tells customers that you think they’re stupid and/or don’t mind wasting their time. The same is true for an excess of good manners. You don’t need to thank your customers every time they press a button. They’re not worried about being thanked; they just want to solve their problem and get off the phone. Introduce yourself. This may sound obvious, but tell your customers who you are. If you don’t identify your company, people may worry that they dialed the wrong number. Test, test, test. Imagine you have a problem, and call your own customer service number. Was it easy to find the answer to your question via the auto responder? If not, how long did it take you to reach a live person? If you were frustrated, imagine being a customer with a real problem to solve. Customers have a love/hate relationship with auto-responders. They like them when they work, but hate them when they get disconnected or get trapped in an endless cycle of irrelevant options. Put yourself in your customers’ shoes, and design an aut-responder that they can actually love. Posted by Scott Resnick: TTI is one of the largest NEC dealers in the United States. With over a 34 year relationship with NEC, TTI is proud to rely on the highest quality NEC business phone system products available here in Houston. We sell more than just a telephone system – We sell custom telecommunications solutions.